Local asparagus still isn’t here, but when I stopped by the co-op yesterday to pick up something for dinner they had the most beautiful bundles of organic Mexican asparagus – I couldn’t resist. 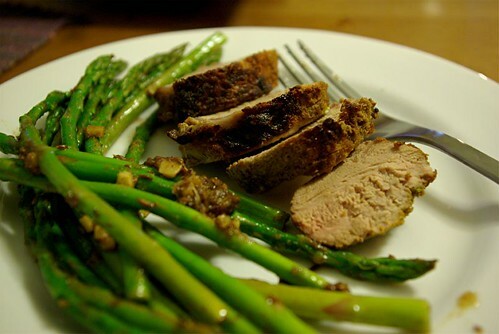 We were feeling a little hankering for Indian food, so I roasted a pork tenderloin that I had rubbed with salt, pepper, cumin and paprika, and cooked the asparagus with ajwain, fresh ginger and amchoor (green mango) powder, like the green bean recipe from Madhur Jaffrey. 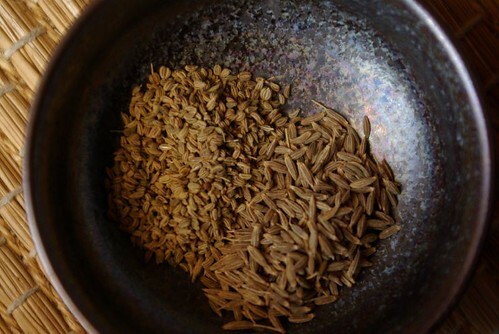 In case you were wondering, this is what ajwain looks like, piled up next to some (larger) cumin seed. We bought our current supply at a small Indian grocery in the Pike Place Market. 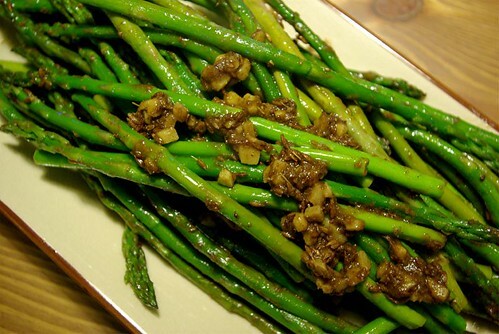 To use fresh, very slender asparagus in place of green beans in the recipe, I blanched the spears very briefly and drained them, then after stirfrying the cumin, ajwain and ginger, added them to the pan and immediately added the ground spices. I was still afraid of overcooking, but it turned out perfect – tart, spicy and just barely crisp. The pork turned out well, too, with a nice flavorful crust. We had opened a Luigi Bosca malbec, thinking that the remainder of the bottle would go well with our dinner a couple nights later, but were flabbergasted at how well it went with both the pork and asparagus. 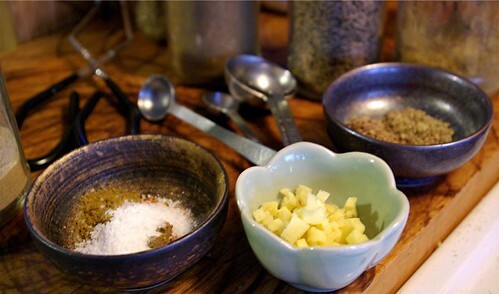 < Previous chicken & sausage & lemons, oh my! 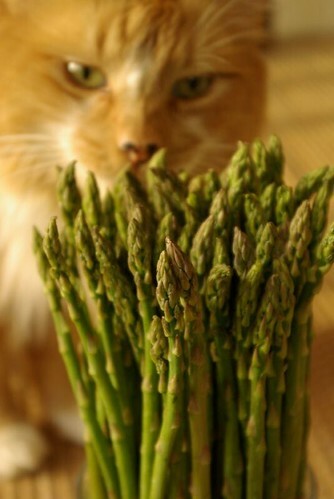 that cat really wants those greens.